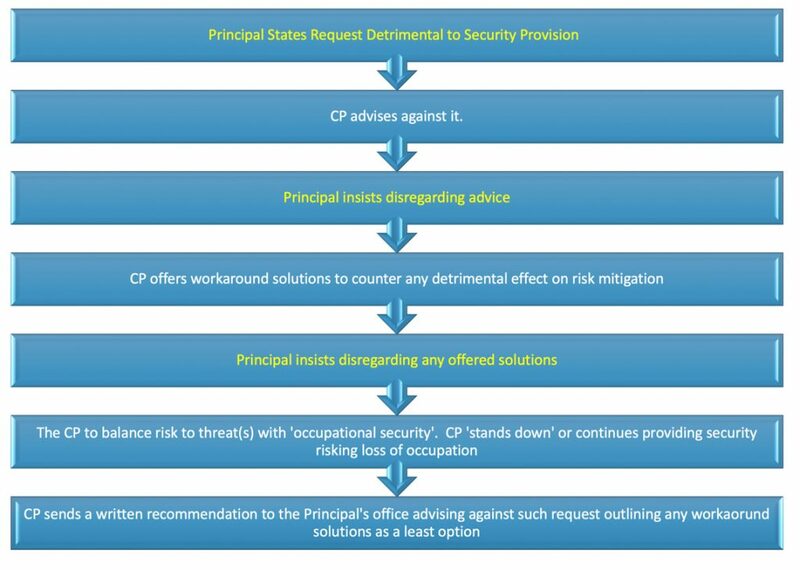 What is the Process for Principals Who Increase Their Risk? 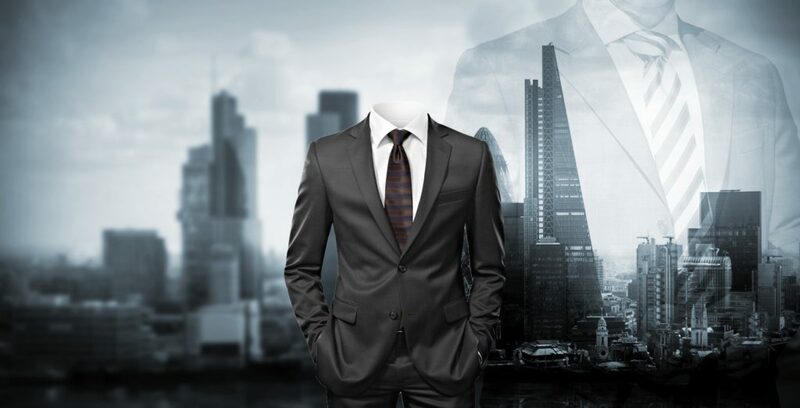 As outlined in our Blog, ‘Threat and Risk Assessments’, during the initial stages of security implementation, whether physical or electronic systems or procedures, one must first assess the threat and the level of risk in accordance to the threat. Close Protection Team Leaders and Individual Bodyguards make informed decisions about security risks that are directly or indirectly under their control as part of their responsibilities. In fact, to a certain extent, any member of a Close Protection Team does. Within the context of CP, threat and risk assessments (TRA’s) identifies those threats present and makes recommendations where to avoid, reduce and ‘accept’ risk, as well as how to diminish the impact of threatening events. In an existing security operation, the TRA further assesses and identifies security measures that are inappropriate or non-existent. Recommendations are then made to add or modify where applicable but also to determine the implementation priorities. However, one aspect that must also be considered and which is often overlooked – until too late – is that of the risk the Principal poses to themselves. Through their actions that are deliberate, unintentional or indeed, accidental, the risk to any threat(s) can be increased to their lives, the lives of those accompanying (including security personnel) at one extreme and physical injury and reputational damage at the other. There are five main aspects that should be considered to what I would uniquely term within Close Protection as ‘Principal Risk Causation’. The reason why it is termed ‘Risk’ and not ‘Threat’ is because the Threat(s) may already be present but that the Principal is increasing his or her risk to the exposure of them. 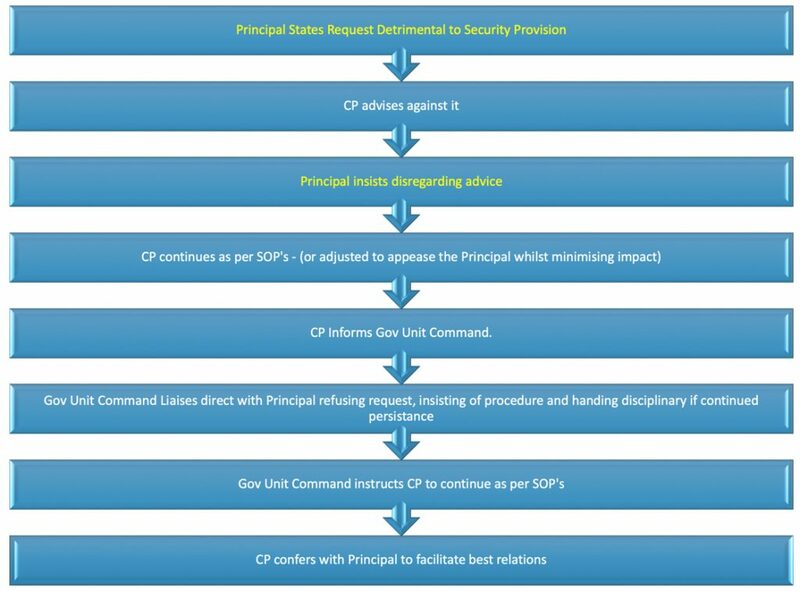 The answer to what process to be conducted is dependent on the relationship between the Principal and their security. These relationships are, in the main, usually dictated by the manner in which the security is contractually provided or imposed – which is subsequently usually dictated by the social class/ standing in society or professional position. The Principal states a request detrimental to security provision. He/ she states and insists to the CPTL that they wish to go for a walk alone, without security. 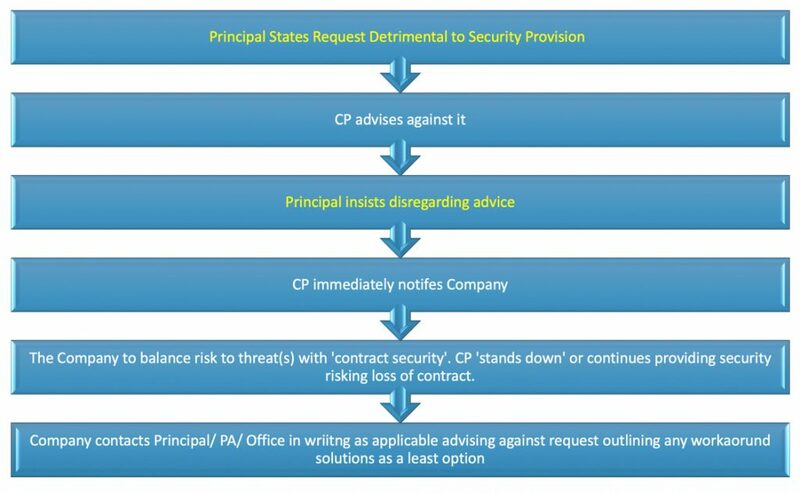 The following set of flow diagrams outline possible processes for hierarchical decision making as a result of specific requests by a Principal that could detrimentally effect the provision of security based on the nature of the operational provision of that protection; Directly Employed, Company Contract Services Provider, or Government.